The standard interface for the automotive industry. The interfaces, data format and data transfer protocols are standardised and based on the Internet. All network participants (equipment manufacturers, software providers, data suppliers, vehicle inspection organisations) must convert their software (data format) to the asanetwork standard format before they can transmit their data via the network manager to associated devices on the net. The network manager asanetman is the heart of the system. It oversees and coordinates all data streams in the network. In addition, data can be stored temporarily. This enables regular central backups and the possibility of saving data for users who are not yet ready to receive it. The interface interconnects computerised workshop equipment such as brake testers, exhaust gas analysers, wheel aligners etc. with commercial software applications, e.g. dealer management software or with the inspection software applications of the vehicle inspection organisations. 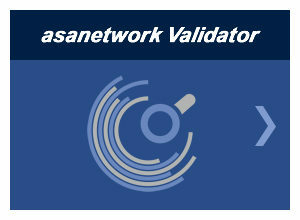 asanetwork maximises work processes in the workshop and improves profitability. The new brake tester directive issued by the Federal Ministry of Transport, Building and Urban Development (BMVBS) stipulates that all brake testers used by the inspection agencies during the periodic technical inspection according to section 29 of the German Road Traffic Licensing Regulations (StVZO) must be equipped with the asanetwork Livestream interface as the standard data interface. 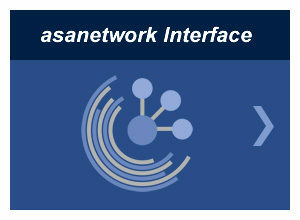 asanetwork Livestream is a modified, simplified version of the asanetwork standard interface that has been specially adapted and introduced to meet the requirements of the brake tester directive. For this use the interface is available free of charge. 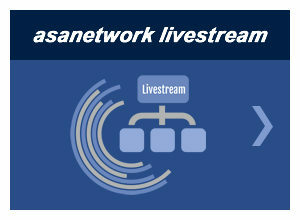 asanetwork Livestream can be downloaded free at www.axonet.de. Our inspection software livestream Validator is designed for checking brake tester functionality in accordance with the new brake tester directive and for performing single conformity inspections (Stückprüfung). To prevent abuse when carrying out single conformity inspections of brake testers, the brake tester department of the Automotive Service Association (ASA) has decided to provide the Validator with an individual copy protection (USB dongle). The test report will thus show the company and name of the inspector, the brake testers for which he is licensed and the date the license expires (normally after two years).